Complete rules for more than twenty new subclasses for fifth edition Dungeons & Dragons, including the cavalier, the inquisitive, the horizon walker, and many more. Dozens of new feats and spells, and a system to give your character a unique, randomized backstory. 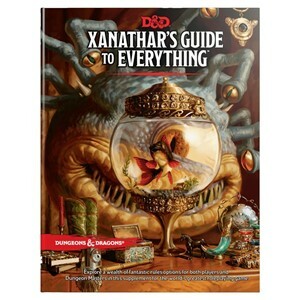 A variety of systems and tools that provide Dungeon Masters new ways to personalize their home games, while also expanding the ways players can engage in organized play and shared world campaigns.